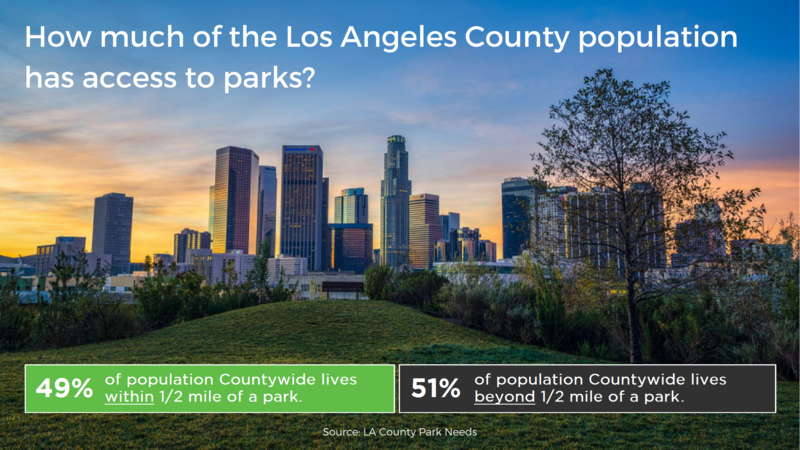 Countywide Access to Parks | Propel L.A.
About half of the Los Angeles County population live within half a mile of a park per the Department of Parks and Recreation (May 2016). Why are parks so important? “Close-to-home opportunities to exercise and experience nature are essential for our physical and mental well-being. Studies show that parks encourage physical activity, reduce crime, revitalize local economies, and help bring neighborhoods together” (ParkScore®, n.d.).